Fastlane Autocare offers an around the clock forklift truck service and repair. We have been involved in the repair and maintenance of forklift trucks for many years now. We provide service and repair on site and also at our fixed workshop. Our highly skilled engineers are fully trained and experienced to service or repair your forklift truck vehicle with as little disruption and downtime to your site or workplace! 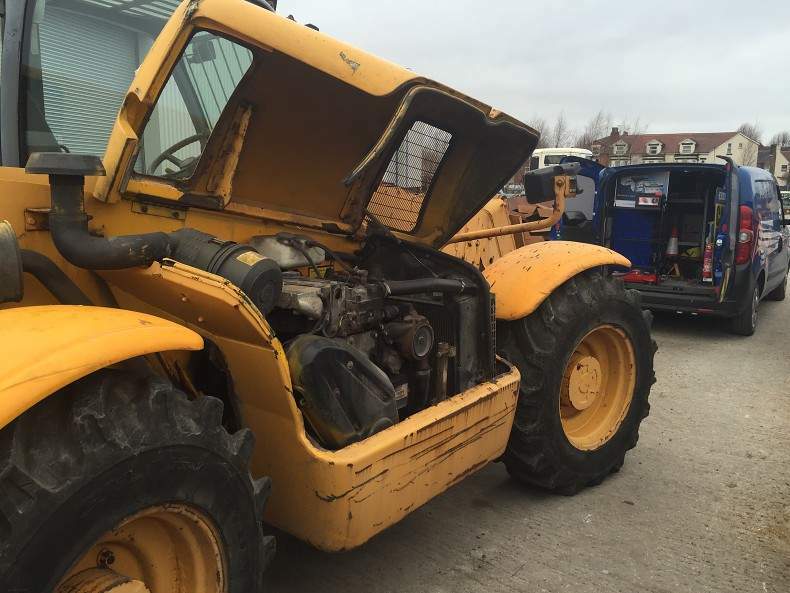 Due to the many years of experience of dealing with Forklift trucks and plant machinery, we can offer fast and effective repairs and solutions to your vehicle's faults and issues as well as any other advice on the service and maintenance of forklift trucks. We can service and repair every aspect of your forklift truck, with 95% of jobs completed on site. This offers a convenient solution to ensure minimal disruption to your working day. If it is necessary for any work to be completed off-site, Fastlane Autocare has a fixed service and repair workshop in which we can carry out any specialised or specific repair. We also have our own in-house Mercedes -Benz Atego tilt and slide 7.5-tonne recovery truck which is capable of taking your forklift truck directly into our workshop. Here at Fastlane Autocare, we pride ourselves on being able to offer fully comprehensive and convenient solutions to all vehicle issues. Our fully trained and dedicated vehicle technicians are on hand to take your call and with our E.T.A time as little as 1 hour, Fastlane Autocare could see you back on track before you know it! We have branches all over the North West. Each of our branches is equipped to deal with any repairs you may need for your forklift truck. We have branches in the following areas: Stockport, Congleton, Trafford, Manchester, Liverpool, Southport, Runcorn, Atherton, Wirral, Chester, Lymm, Cheshire, Radcliffe, Helsby, Leyland, Oldham, Queensferry, Skelmersdale, Swinton, Trafford, Walkden, Deeside, Middleton, Warrington, Denton, Hale, Chorley, Bury, Bolton, Warrington, Wigan and Widnes. In fact, any location in the North West where you need assistance with your forklift truck, we are ready to help!